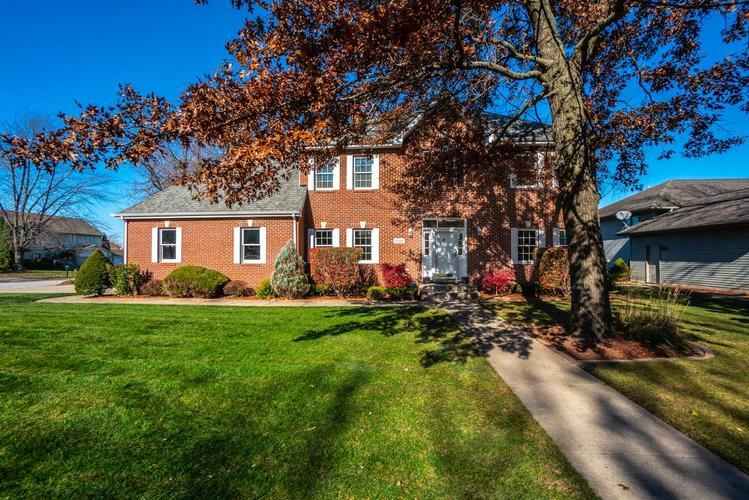 Beautiful 4 BR/,3 BA Traditional 2-Story w/ 3 CAR GARAGE, located on PRIME CORNER LOT in Lovely Established Neighborhood. Original Owners thought of everything when they built this home! Impressive 2-Story Cathedral Entry with CUSTOM CASCADING STAIRCASE. Formal DR,Formal LR w/ French Doors to Family Room w/FIREPLACE and Sliders to Maintenance-Free Deck w/ HOT TUB that stays! Dream Kitchen w/ CUSTOM MAPLE CABINETS; GRANITE Countertops; Island with Breakfast Bar, Gas Cooktop; Built-in DBL OVEN; Built-in WORKSPACE; Charming BREAKFAST ROOM with Lots of Windows & Built-in MAPLE CORNER WALL HUTCH. MASTER SUITE w/ TRAY CEILING, Gorgeous HW Floors, ENORMOUS Walk-in Closet, ENSUITE BATH w/ JETTED TUB, Separate SHOWER. 3 addt'l Nice Size BRs, 3rd Bath w/ SKYLIGHT & NEW GRANITE VANITY. Nicely Landscaped, In-ground Sprinklers. Full DRY Basement w/4th Bath plumbing roughed in. New Roof 2009. Zoned Heating/Cooling, Security System, Central Vac, Whole House Fan. One-of-a-kind & Move-in Ready!